Trent graduated from Case Western Reserve University School of Dental Medicine in 2010 and received the prestigious Deans award for both academic and clinical excellence. He attended all four years of dental school on the Air Force Health Professionals Scholarship. After graduation, Trent was one of the few selected to attend a one-year intensive Advanced Education in General Dentistry (AEGD) Residency at Nellis Air Force Base in Las Vegas, NV, where he graduated at the top of his class. This AEGD residency provided enhanced knowledge and experience in all dental specialties including IV sedation, Oral Surgery, Periodontal surgery, complex molar root canals, and implant placement and restoration. Following his residency, he was stationed at FE Warren AFB in Cheyenne, Wyoming. While stationed in Cheyenne, he completed a rigorous one-year Advanced Clinical Dentistry Preceptorship, earning the title of advanced Clinical Dentist. Additionally, Trent was recognized as the top-producing dentist, completed over 250 IV sedation oral surgery cases, and received both the 2012 Medical Group Company grade Officer of the Year award and the Air Force Commendation Medal for his outstanding service to our country. 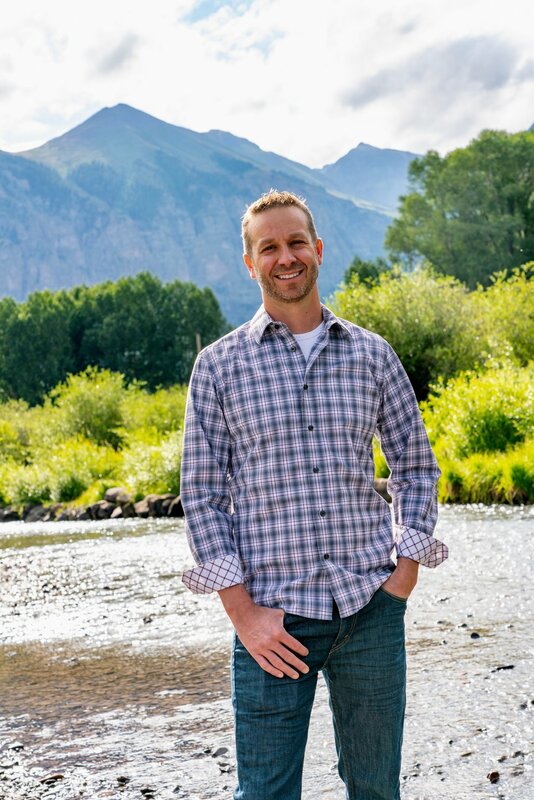 Trent first came to Telluride the summer of 2014 to visit Dr. Terry Brown and his practice. Originally Dr. Buttars had dreamed of returning to his home area of Jackson Hole, Wyoming to practice. But after his visit, he fell in love with the Telluride area and could not pass up the opportunity to raise his three boys, Raef (13), Ryan (11) and Caleb (7) here. They all love the outdoors, skiing, and hiking and can’t wait to take advantage of all the wonderful opportunities Telluride has to offer. In this practice, you will see Dr. Buttars implement his three core beliefs for dentistry: 1) Honest in everything, 2) The highest quality or nothing, and 3) Patient communication. Dr Buttars is a member of The American Dental Association, The Colorado Dental Association and The American Society of Dental Anesthesiology. Amanda is the Swiss army knife of the Elevated Dental team. She is a dental hygienist but she also fills in at the front desk and runs the business. Amanda attended the University of Wyoming’s Dental Hygiene program in Sheridan, Wyoming. She graduated with her Dental Hygiene degree in 2003 and has practiced dental hygiene in Wyoming (Jackson Hole and Cheyenne), Idaho, Ohio, Nevada and now Colorado. She is a native of Montana and grew up a mountain girl hunting and fishing with her dad. She loves being outdoors in the wilderness, hiking, climbing, skiing, and teaching her three boys about the joys of being surrounded by nature. 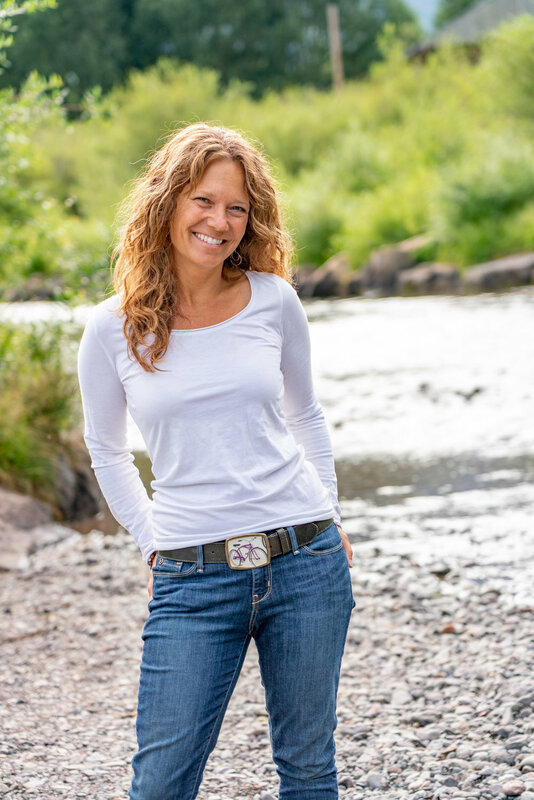 When she first visited Telluride to check out Dr. Browns practice, she instantly fell in love with the community of Telluride and knew this is where she wanted her three boys to grow up and call home. Amanda has been praised by her past employers for her excellent patient education, patient service, and high quality care. She has had an extremely loyal patient base in each of the locations she has practiced in. She is excited to be able to fill in for Tina or Blythe as needed to prevent disruption of patients care and get to know each of our patients better. Tina has been a long time member and patient favorite of our team for over 18 years. She originally came to Telluride to live her dream of being a “Mountain Biking Bum” and was employed at Baked in Telluride when she caught the eye of Dr. Brown’s wife, Nancy, as a potential dental assistant. As a dental assistant, her love for dentistry caught fire and she decided to take the next step and become a dental hygienist. In 1999, she returned to her native Michigan to attend Grand Rapids Community College Dental Hygiene program. In 2003 she graduated at the top of her class and the very next day drove back to Telluride to rejoin Dr. Brown’s team. She has been committed to serving and educating our patients since. She was drawn to Telluride because of its everyday beauty and the possibilities. She cherishes the access to the variety of ecosystems and recreational variety so close at hand. As all of her patients know, she is an avid mountain biker, skier, and hiker, and loves sharing her passions with her 10 year old daughter, Brooklyn, and sister, Susie. Tina thrives on educating patients in a way they can understand and visualize. She is committed to tailoring her care to each patient to help them reach their oral health and hygiene goals. She prides herself in giving excellent periodontal care in a pain free and comfortable environment. I guess its fair to say that Tina came to Telluride for the biking and stayed for the dentistry! Elevated dental is very thankful to have Tina as part of our hygiene team! Blythe is a member of our hygiene team and joined Dr. Browns practice over 8 years ago. She was born and raised in the beautiful state of Vermont and is proud of her New England heritage and work ethic. She attended the University of Vermont, where she achieved a Bachelor of Science in Health Education and Dental Hygiene. She has been practicing as a dental hygienist for over 17 years! Blythe was originally drawn to Telluride for the easy accessibility to the immense outdoors and truly loves the small community feeling and benefits Telluride offers. She is an outdoors enthusiast and when she is not treating patients she can be found skate skiing in the Valley Floor, dancing, singing, traveling, attending the summer festivals, hiking, and most importantly sharing all her adventures and love of life with her 8 year old daughter, Stella. If asked, Blythe will tell you she has a deep love for dental hygiene and the positive difference she can make in each of her patients oral health. She prides herself on being both gentle, but thorough in her work. She loves to rely on her strong health educational background to educate her patients on achieving the best dental and overall health possible. Blythe truly loves the Telluride lifestyle of working hard and playing hard and Elevated Dental feels lucky to have her on our team! Darlene has been assisting for over 15 years. She is a highly trained Surgical Dental Assistant . It is a work of art to observe her working side by side with Dr. Buttars. They are completely in sync and rarely need to speak to complete a procedure; a true sign of an experienced dental assistant. She stays current with continuing dental education classes- a commitment she takes seriously to help patients maintain their dental health. We benefit from her fluent Spanish and her experience working on little ones in the dental chair in the past. She has such patience and is quick enough that they don’t realize that she’s already completed their treatment. Patients appreciate her gentle and compassionate bedside manner. She lives in Montrose where her family lives and shows her true “mountain mama” spirit by driving to Telluride each week. She enjoys cooking and exploring this beautiful state of Colorado in her free time. Her smile is as beautiful as her heart and she is an integral part of our team. We, literally, cannot run this practice without her and hope we never have to! She lives in Montrose with her daughter, Serenity(9), son, Raul(21), and son, Diego(17). And she's a Grandma! You would never guess though. Ashley is in her second year with our team at Elevated Dental. She moved to Telluride in 2006 and fell in love. Literally! She met her husband 8 years ago here. She previously worked in the hospitality industry in Telluride before moving to the dental field. She brings her vast knowledge in customer service and organization skills to Elevated Dental….a much needed commodity here. Patients love her understanding and energy, putting them at ease the moment they walk into the door. She is our “hugger” in the office and makes everyone feel welcome and like a friend here. Her positive attitude supersedes any negative energy that is brought in the door as her smile makes everyone smile back. In her free time she enjoys hiking, cooking, hosting parties, reading, going to the movie theater and attending her favorite summer music festival, Blues and Brews. She lives in Mountain Village with her husband, Howie, and four legged furry baby, Bella. Sydney joined our team this year as a Dental Assistant/Sterilization Technician and she has been a dream come true! She previously completed a Dental Assistant course but wasn’t able to use it at the time so she stepped into our office with a good base to work off of. She is happy and calm and such a great addition to our team. We hope she decides to stay a long time. She was born and raised in Texas with her mother and four sisters. She moved to Colorado a year ago to live with her father, who you will frequently see driving the Goose around town. She lives in Mountain Village with her boyfriend and spends her days off hiking, collecting rocks, playing with animals, listening to music, watching movies, and sewing.